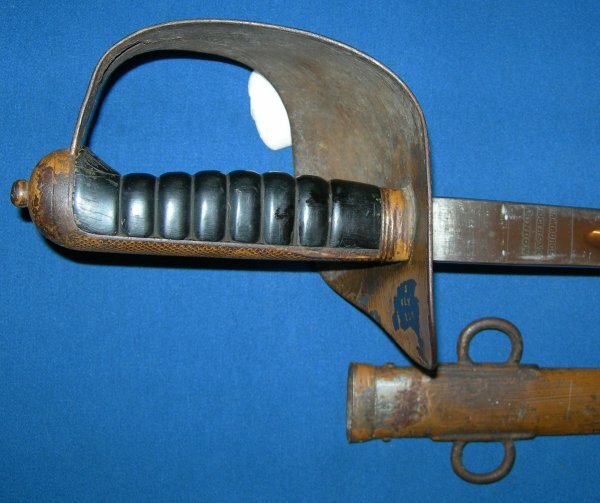 A rare 1902 pattern City of London Yeomanry (2nd Regiment, Westminster Dragoons) sword with original WW1 desert camouflage paint. A rare sword in very rare condition, with the majority of its World War One desert camouflage paint intact. 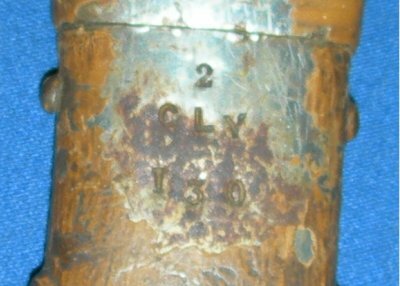 Marked "2 CLY (2nd County of London Yeomanry) 130 (trooper / sword number 130)" to both the scabbard and inside of the guard (so the scabbard is original to the sword which is a bonus). The paint means this sword was present at the Battle of Gallipoli in August 1915 and probably the Battle of Jerusalem (a Battle Honour for the Westminster Dragoons). The 34 1/4 inch plain blade, marked to renowned maker Hamburger Rogers & Co (the same maker of course who make trooper sabres for the Household Cavalry), is in very good condition and firm in the hilt. 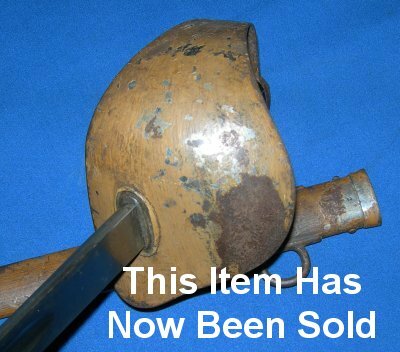 The hilt is also in good order. The ebonised (black wooden) grip is in good overall condition. The sword draws and sheathes well. Further / full sized images available upon request. G41 (960) (2.656).